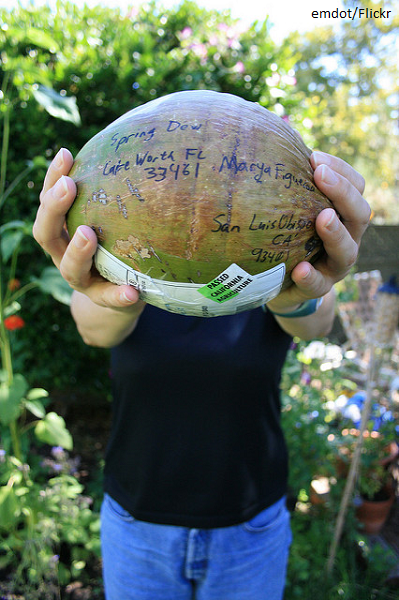 The U.S Postal Service allows its customers to mail coconuts across the U.S.A without extra packaging. This means that you can just stick some stamps on the coconut, write the recipient’s address and drop it in your nearest letterbox. The picture was taken in Florida in 2008 by Flickr user Calvo.